And here's the finished piece. 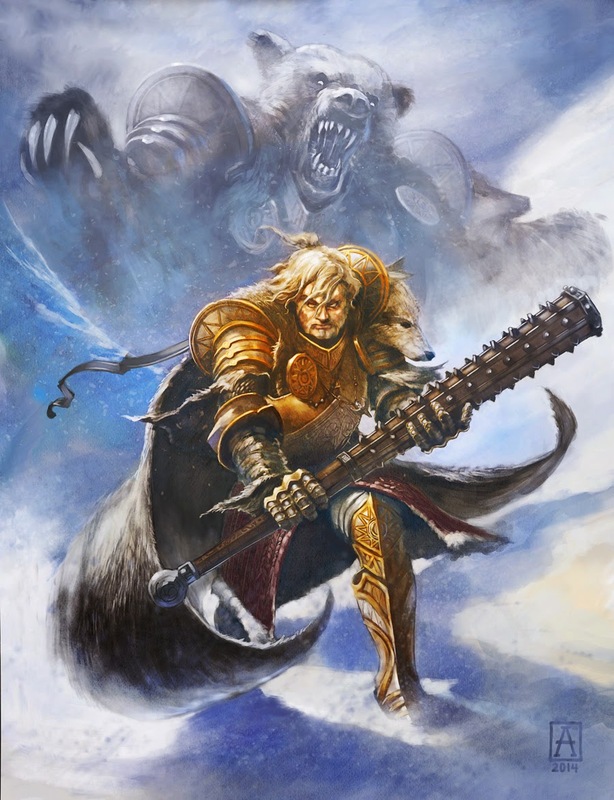 The character is a paladin -- who's also a werebear. The client wanted to see the werebear form included as a ghostly background, so that's what I did.